For over 31 years Dr. Toler, dentist in Warner Robins has provided exemplary dental services to the residents of Warner Robins, GA. Dr. Toler opened his practice in 1983 in a small office on Watson Blvd. His practice eventually out grew that office and he built a larger facility in 2005 to accommodate the growing needs of his practice and patients. 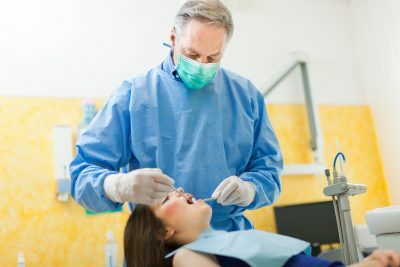 Here at the office of William L. Toler our friendly and professional team works hard to ensure that every patient feels as comfortable as possible during their appointment. Our office utilizes state-of-the-art equipment to ensure that patients are receiving the highest quality of dental care available. We feel it is important to continue to educate ourselves on everything changing in the world of dentistry, so that we can provide exemplary service at all times. Whether you need routine care or restoration work, our team will provide a calm, comforting environment where you will feel well cared for. We really provide that ‘WOW’ factor, and our experienced team of dental professionals loves nothing more than to make our patients smile. Dr. William L. Toler graduated from Warner Robins High School and then Mercer University before joining the Army and becoming a Cobra helicopter pilot. While serving his country he met a couple of dentists and thought, “that’s what I want to be when I grow up!” He attended the Medical College of Georgia where he received his doctorate of medical dentistry in 1981. He is married to his wife, Elizabeth. He has two children and two grandchildren. Dr. Toler is a member of the International City Study Club, Central District Dental Society, Academy of General Dentistry, and is a lifetime member of the Georgia Dental Association and the American Dental Association. Our dental office in Warner Robins policy will always be to treat our patients with respect while providing a warm and welcoming environment where they will receive the highest quality of dental care. Our goal is to have every patient leave our office knowing they received the services they need to maintain a healthy mouth.